I just spent a week in Tsaile, AZ with Adam Diehm (2018 Tsaile Spiritual Life Coordinator) and Kelsie Currie (2018 Smith River Spiritual Life Coordinator), leading an Alternative Break for a group of students from the University of California, San Diego. They had just taken a class on Navajo history and culture, and concluded their term with a week of service and cross-cultural conversation. After having spent two summers on staff for SSP in Tsaile, I was excited to get to show them around the place I have gotten to know and love – but the week was full of new experiences for me too! A particular highlight was Tuesday, which we spent in learning and service with the Tsaile-Wheatfields Water Users’ Association. This is a non-profit organization that works on agriculture revitalization in the community. Although a core of Navajo culture is farming, the Navajo Nation is considered a “food desert,” meaning the majority of people do not have adequate access to fresh food. Part of the mission of the Water Users’ Association is to restore farming – particularly the growing of fresh vegetables – as part of the way of life in Tsaile. Their work is just picking up speed, thanks to a grant from the Navajo Nation. I look forward to seeing where their vision leads! This past week, we helped the Water Users’ Association prepare their fields for the upcoming season of planting. One of our groups covered a lot of farmland, picking up and collecting logs that would get in the way when it’s time to prepare the soil. Our other teams worked on preparing the fencing that will separate different plots and keep animals from eating the growing veggies! My hope is we can continue a partnership with this exciting organization over the summer! Not only will it be great for us to support their work, it will also be a chance for our volunteers and staff to experience another aspect of Navajo culture and learn from the community members. 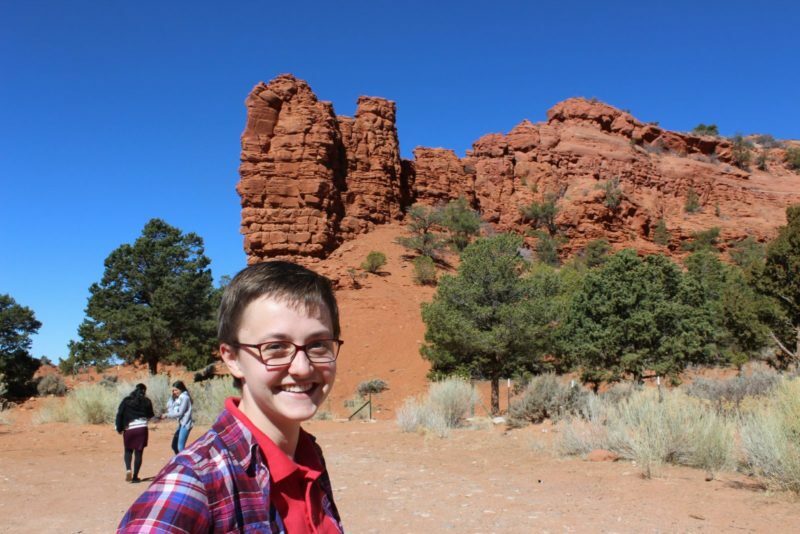 Editor’s Note: 2018 will be Emma’s third summer returning to staff for SSP in Tsaile, AZ. In 2016 and 2017, she served as the Spiritual Life Coordinator, and helped to foster the growth of strong connections between SSP and local organizations. See photos from the Alternative Break in Tsaile on SSP’s Facebook. Sign up as a group or individual for the summer of 2018 to be a part of this impactful partnership in Tsaile!